After three years as a part-time announcer at KTJS Radio in Hobart, Rachel Hubbard started her career at KOSU as a student reporter in 1999. Following graduation from Oklahoma State University, she served as KOSU’s state capitol reporter and news director. Today, in her role as associate director/general manager, Rachel continues to oversee the newsroom but also manages the day to day operations of the station. 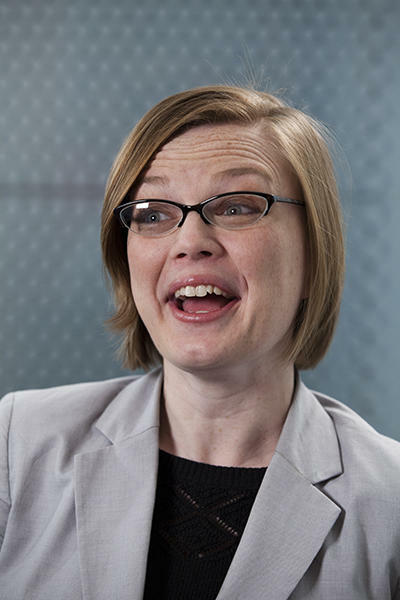 During her tenure at KOSU, Rachel has won national awards from the Public Radio News Directors Inc., and the Scripps Howard Foundation for her news coverage. She has also received numerous state and regional awards for news coverage and has been named to Oklahoma Magazine’s 40 under 40. Rachel loves to cook and is fond of non-traditional her non-traditional travel destinations including Timbuktu, Mali and a pygmy village in Uganda. She lives in Edmond with her husband Matt, stepsons Alex and Rafe and her two dogs, Oscar and Felix. The science behind tornado warnings has come a long way since the first one was issued 70 years ago. But typically about three-quarters of the time, when forecasters issue a warning, a tornado never actually happens. Some new research based on sound could help those warnings be more accurate. 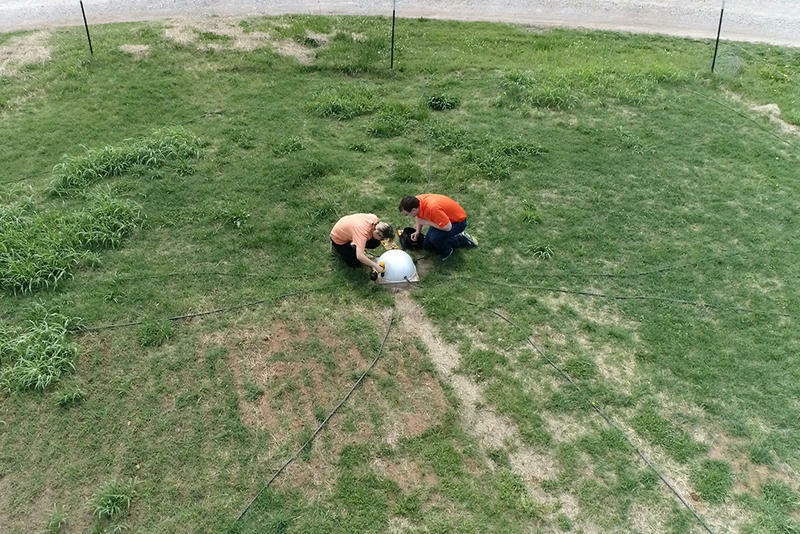 After a tornado passes through a community, people talk about how the storm sounded, almost inevitably comparing the sound to that of a freight train. Every year, the foster care system in the U.S. is home to nearly half a million kids. 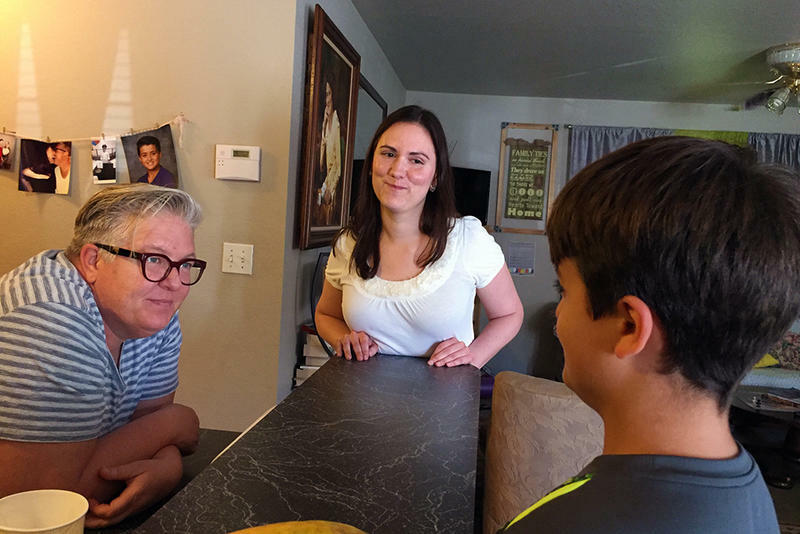 A debate is now brewing in state legislatures and Congress about the best way to get these kids in permanent homes and who has the right to take care of them. Kris Williams and Rebekah Wilson have been dating for four years. They live together in a modest white house on the west side of Oklahoma City with their two dogs and Ozzy, Kris’s son from a previous relationship. A record 600 candidates filed for public office Wednesday and Thursday. The candidate filing period ends at 5 p.m. on Friday. While there has been significant increased interest in public office overall, many statewide and legislative offices still have unopposed candidates. At the end of Day 2 of candidate filing the numbers are as follows. After passing teacher pay raises and providing revenue to fund them, some lawmakers thought the teacher walkout would be short lived. However, as the walkout closes in on its fourth day, some are wondering what the options are to provide more revenue to fund education and other core state services. Following are some of the options lawmakers have talked about in the past that could still be on the table. They have varying levels of support, which is tricky when considering the super majority new revenue measures require. Oklahoma taxpayers are fed up. Riding high on the oil boom of the late 2000s, the state followed the Kansas model and slashed taxes. But the promised prosperity never came. In many cases, it was just the opposite. 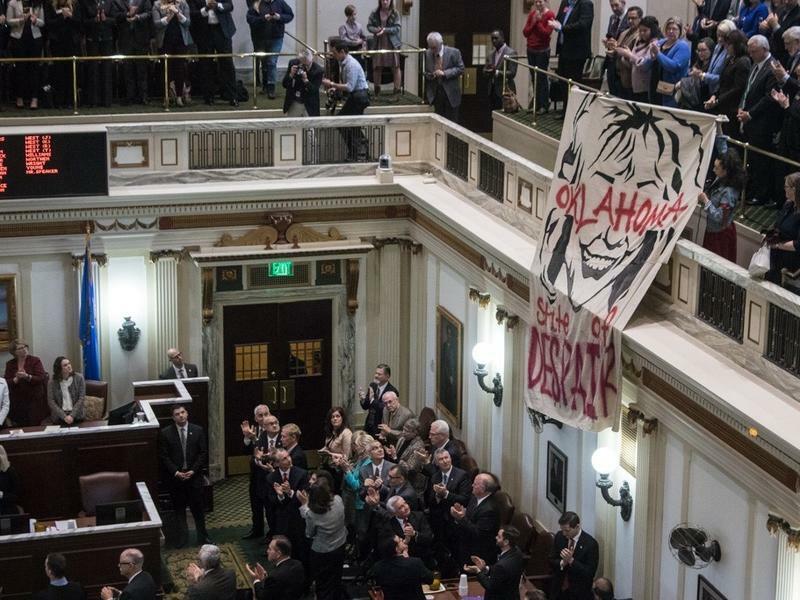 The panel that sets the salaries for Oklahoma's lawmakers said Thursday that legislative pay should be more in line with the average Oklahoman. 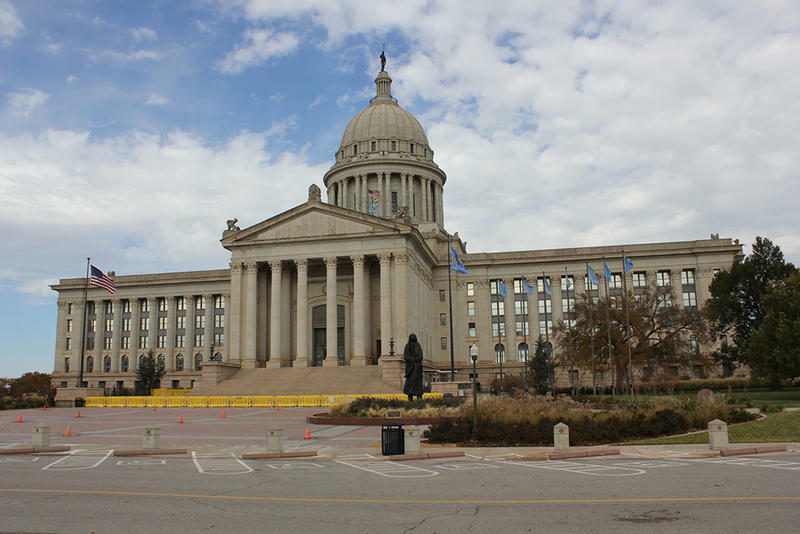 Legislative pay in Oklahoma is second compared with other states in the region, and with per diem, lawmakers make more than $48,000 dollars during the four month session. That’s almost equal to the median annual household income for the state. 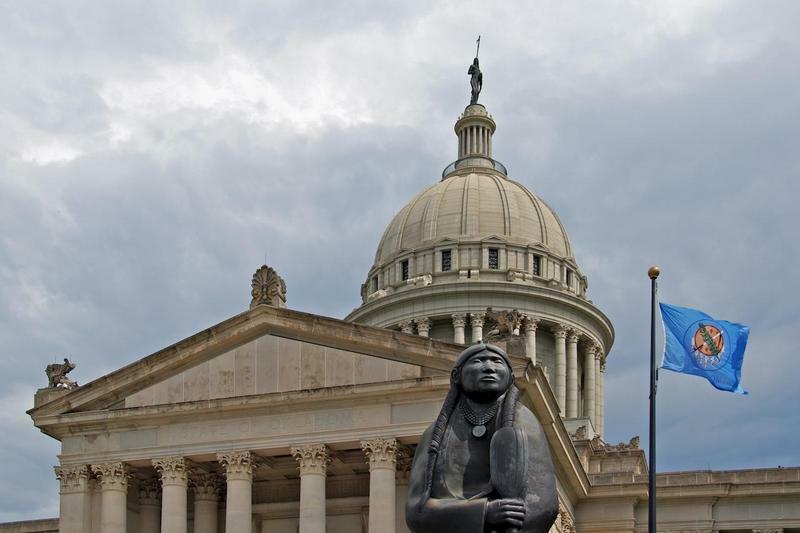 Those statistics led the Oklahoma Legislative Compensation Commission to consider cuts in pay between 8 and 20 percent.